With distinctive buses and friendly staff, the choice in selected cities between multi-lingual commentary or a live guide AND an exclusive Kids Commentary in some destinations, sightseeing has never been so much fun! Hop On and Hop Off as much as you like at any of the bus stops on the route and see all the best sights and attractions that the town or city has to offer. The home of the stars and the history of the movie industry known simply as Hollywood. 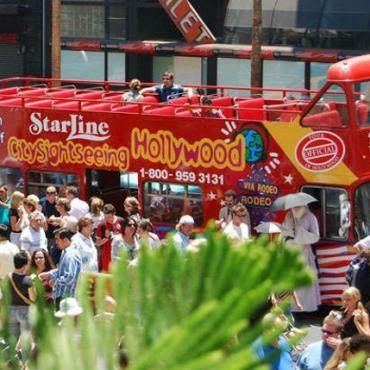 With an ideal climate year round City Sightseeing will show you the places you feel you already know. From the opulence of Rodeo Drive in beautiful Beverly Hills, to the famous 'Hollywood' sign in the hills. 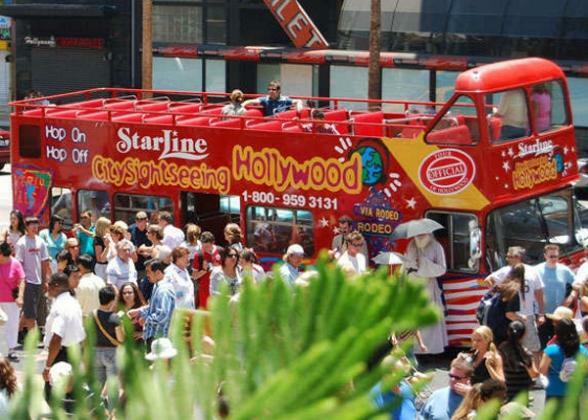 Hop on and off at your leisure on two loops, to visit the sights made famous both in movies and by their own celebrity or connection with celebrities.